Free and open source MATLAB library for the virtual element method. This paper summarizes the development of an object-oriented C++ library for the virtual element method (VEM) named Veamy, whose modular design is focused on its extensibility. The two-dimensional linear elastostatic problem has been chosen as the starting stage for the development of this library. 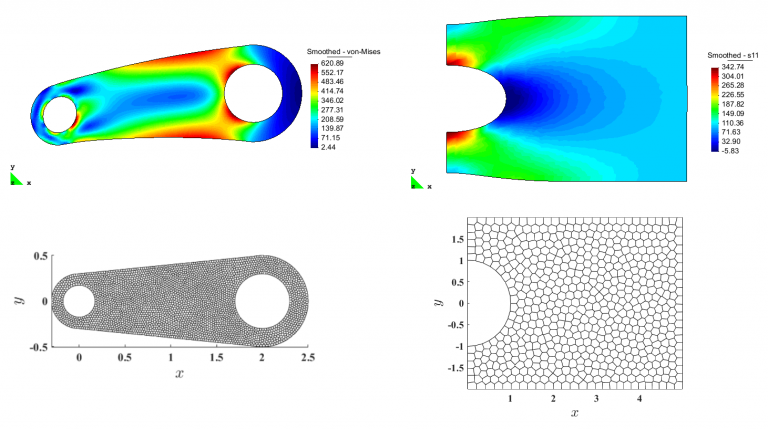 In contrast to the standard finite element method, the VEM in two dimensions uses polygonal finite element meshes.